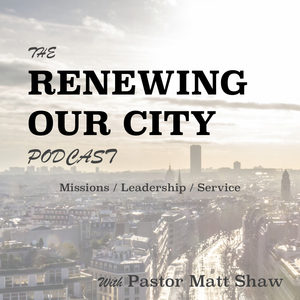 Welcome to the Renewing Our City Podcast! Question: What are your problems, pain points, and needs that you would like to learn more about from the Renewing Our City Podcast? You can leave a comment by clicking here. On today’s episode, I talk about my history of getting involved with local and global outreach and the influences on my life that have fueled my passion for reaching people for Jesus. For more info about me, check out my About Page. Renewing – Jesus renews all things. Jesus transforms our sinful hearts, and makes them new, changes, clean. He takes something that is broke and doesn’t just put duck tape on it, but he fully renews our lives. Our – When we are reaching out to others with the awesome news of Jesus, people can be very sceptical or resistant. We as followers of Jesus need to take ownership in everything we do because it will give us a long term, investing mentality. People will notice that we care about God’s creation and genuenly care about people. City – I don’t live in a major city, but this concept can be applied to any neighborhood or city you live in, as long as people are there. Plus, since of the rise of modern transportation, the internet, and now social media, we can connect with our world like it is one Global city. We can engage with missionaries all around the world, and learn from the Global Church. The post Episode 1 : Welcome to the Renewing Our City Podcast! 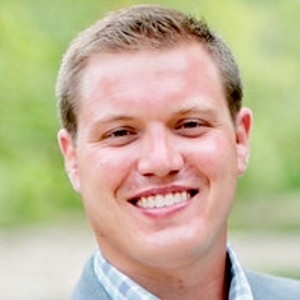 appeared first on Pastor Matt Shaw.